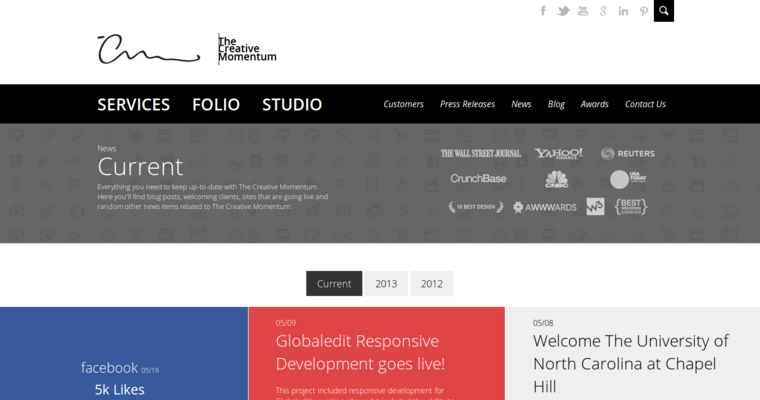 The Creative Momentum is an Atlanta-based website design firm and full-service online marketing agency. 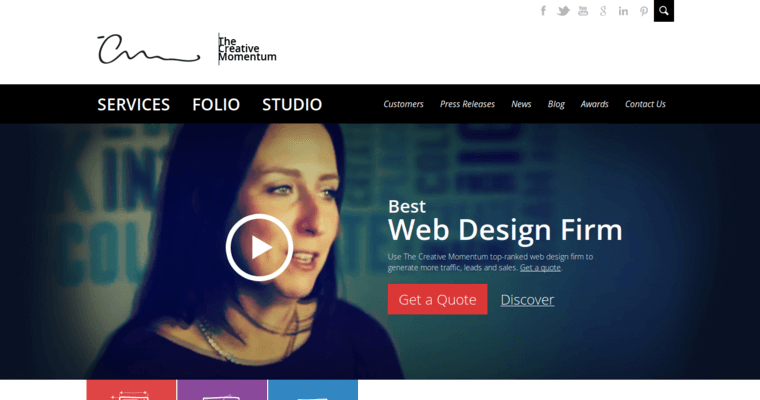 Everything from interactive and intuitive website designs to UX designs, graphic designs and strategic planning is within the wheelhouse of the skilled developers at The Creative Momentum. 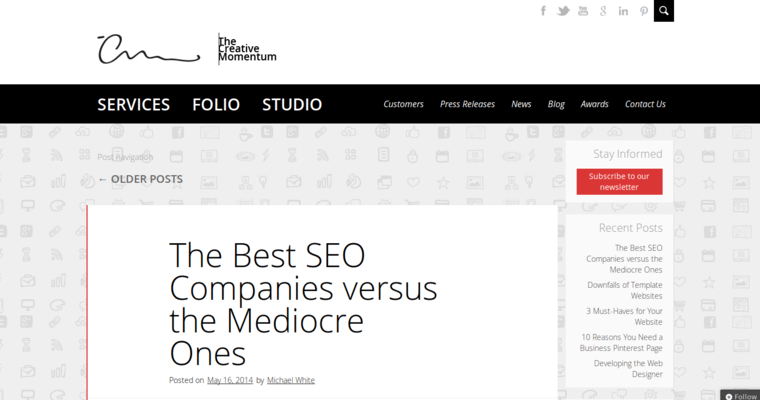 When The Creative Momentum claims that one of their websites is interactive they mean that their sites automatically reformat to accommodate the customer's screen. User-expereince designs also ensure that websites are ultimately catering to dynamic customer taste and preference rather than a static concept. Speaking of remaining dynamic, The Creative Momentum also handles mobile app design on-site. Do you also need branding or reputation management to take your brand to the next level? This isn't a problem since The Creative Momentum can help you create attractive graphic designs as well as videos to go on your fresh, interactive website. Search engine optimization and strategic planning are also offered in-house.